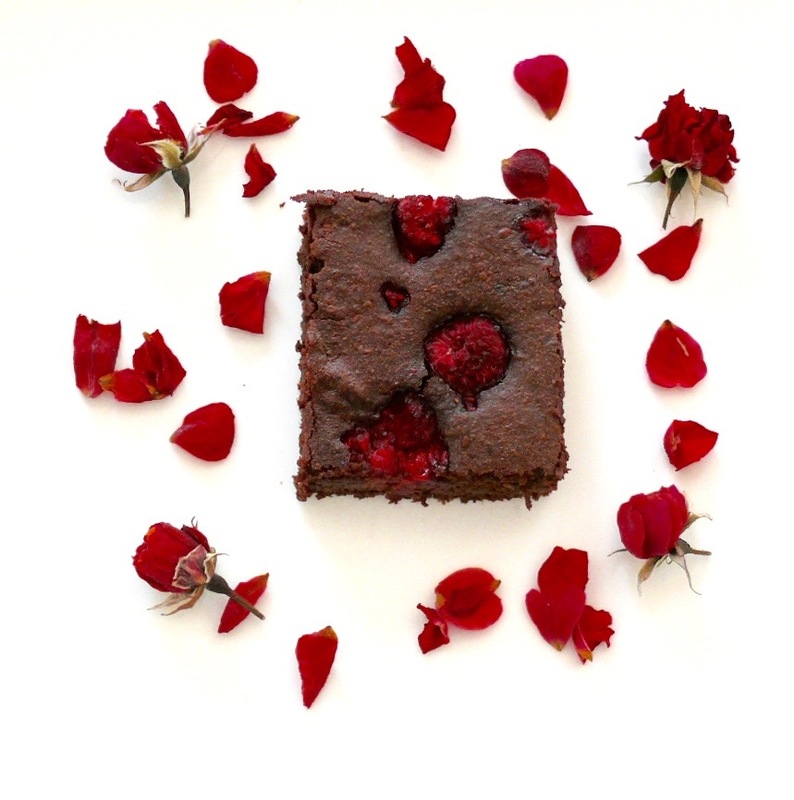 Fudgy Raspberry Brownies are so perfect for your Valentine! However the inspiration to create these came from slightly more down to earth passion! We love camping all that outdoorsy fresh air and relaxation. Being slightly organised, I generally do a bit of a bake to take along with us. 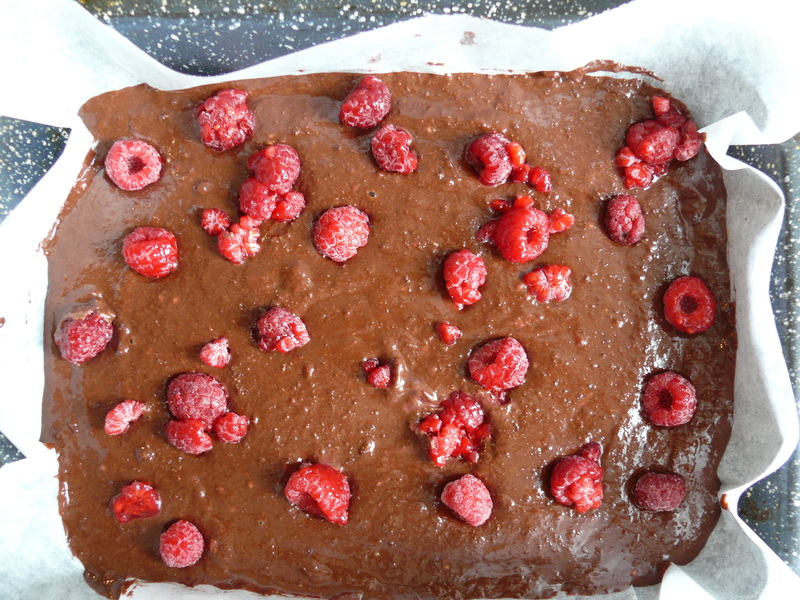 A slice of something tasty to have with a cup of tea while watching the stars on a clear, dark night; pure primal bliss! This year preparing for our camping trip was no different and I baked up my Banana and Coconut Bread. But I also started thinking about the amazing brownie I had at my friend Dawn’s Pure Food Kitchen. 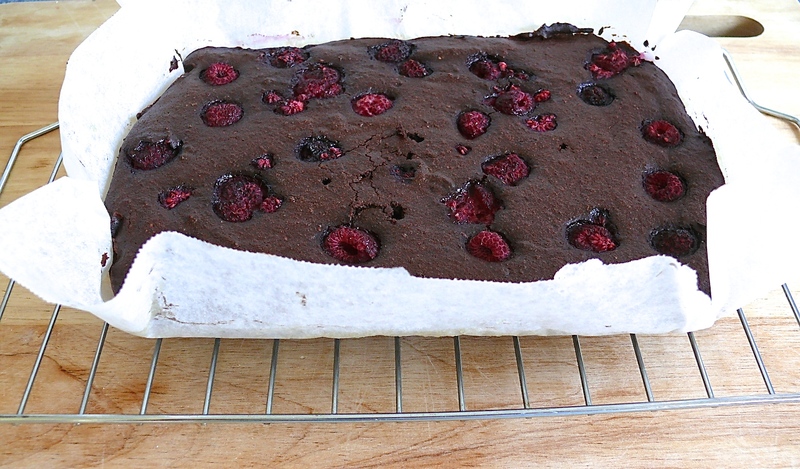 While I have already blogged a Chocolate Brownie recipe with chocolate chunks, I was after something similar to Dawn’s which had the taste of berries along with the fudgy chocolaty brownie taste. My challenge was that using my old recipe if I was to add more liquid by adding the raspberries, I could end up with a Chocolate Raspberry smoothy! 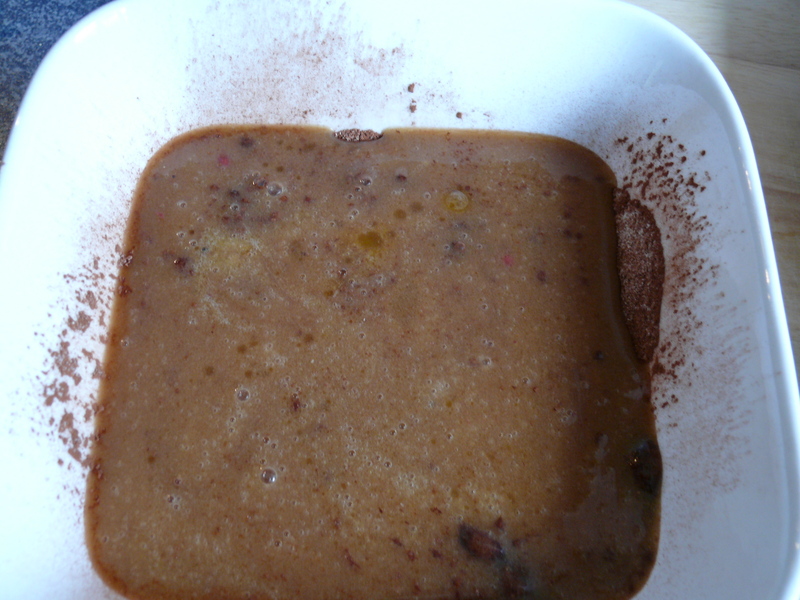 So searching the blogosphere I found that the best way would be to drop some of the liquid (eggs) then I should be able to add the raspberries. Well, as you can see it worked! And what a tasty, yummy brownie treat these turned out to be. I had to ration out each slice carefully to save us from the temptation of devouring the whole batch in one session! 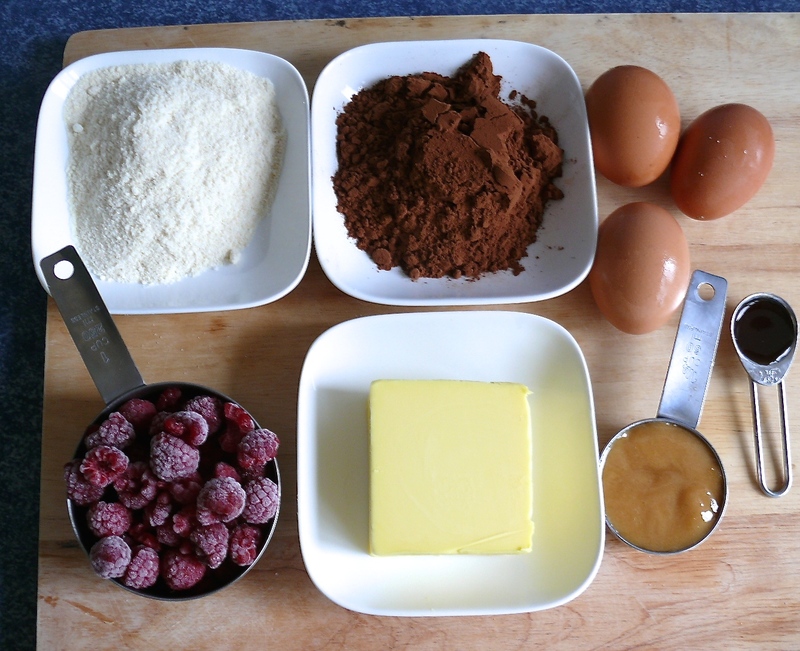 So give these a go, they are super easy to mix and bake, and let me know how you find them. As with all of my recipes I do not use refined cane sugar, and so if you are a carb burner you may not find these super sweet. Get your ingredients ready to go. 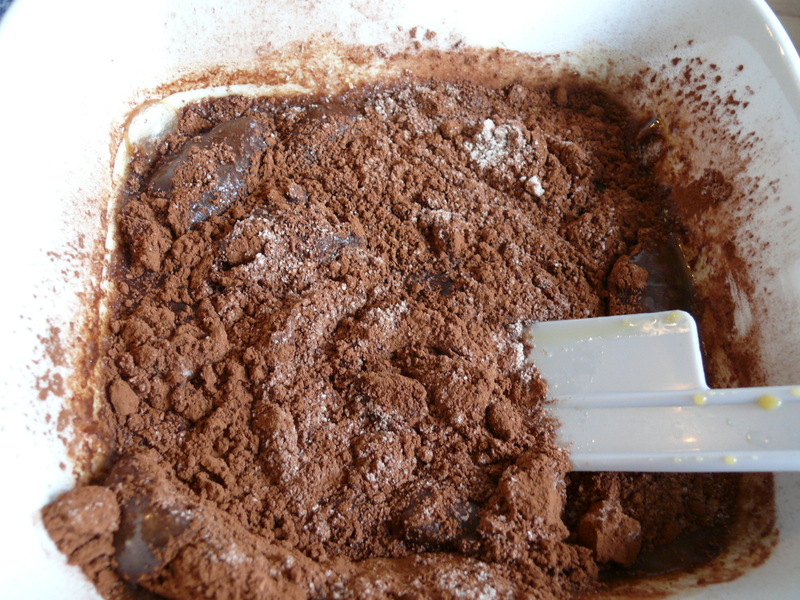 • Preheat oven to 150C/300F and line a 15 x 21cm/6 x 9in baking dish with cooking/parchment paper. 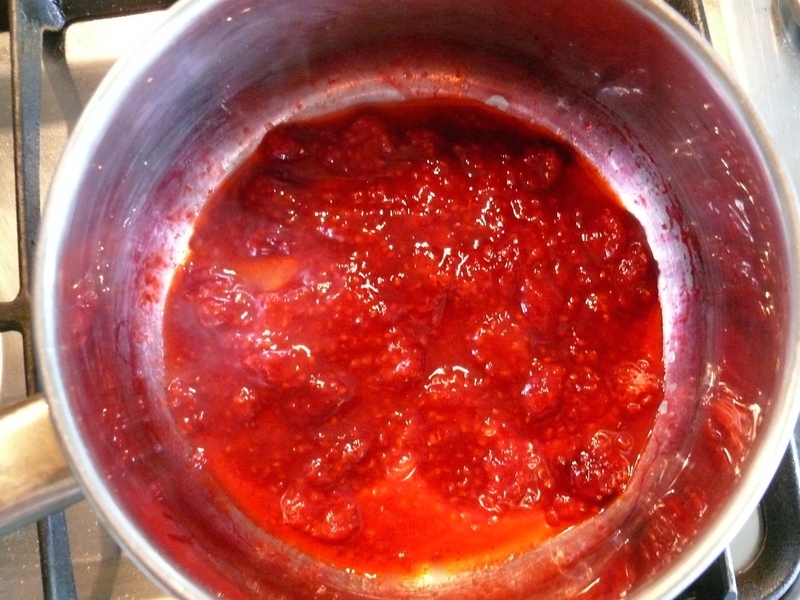 • Simmer 1/2 cup raspberries until soft and mush with a fork, cool. 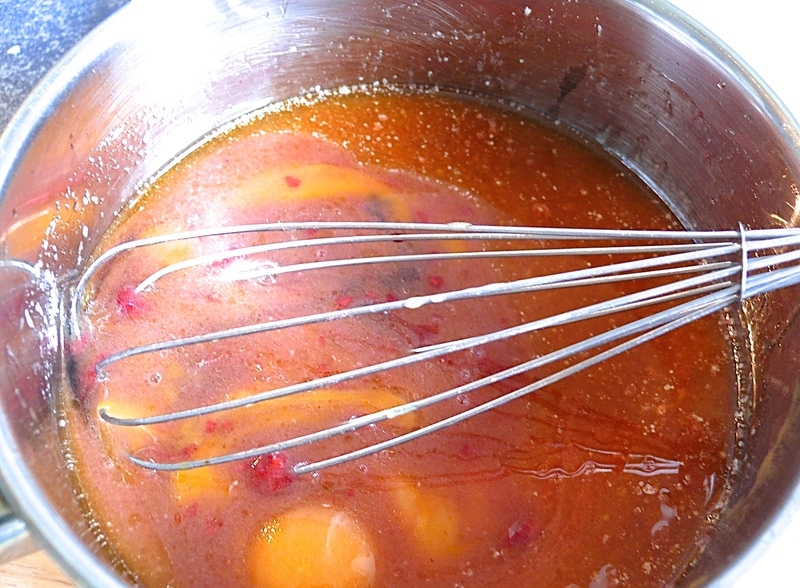 • Melt butter and honey gently, cool slightly, beat in the eggs then stir in the simmered raspberries and vanilla. 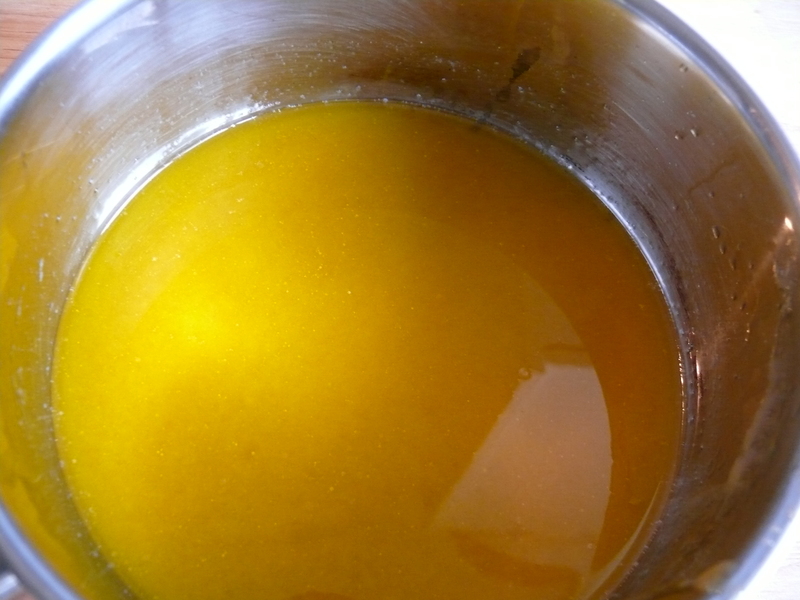 • Bake for 30 minutes, until a toothpick inserted into the center comes out clean. 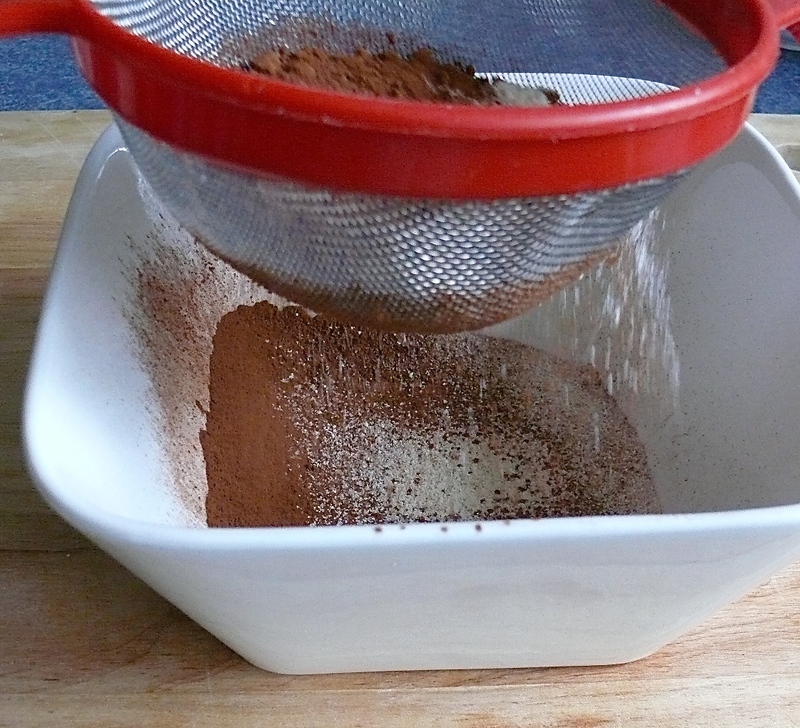 • Cool for in the pan for 10 minutes and carefully remove (baking paper included) and place on a wire rack to cool completely before cutting. • Store in an airtight container in a cool place, they can last 5 days, depending on greed!